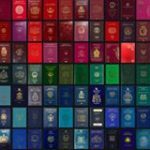 Montreal, December 03, 2018 – The United Arab Emirates celebrated another monumental milestone in its history as its passport took the lead with a record-breaking score in the Global Passport Power Ranking. United Arab Emirates passport holders can visit 169 countries visa-free1 or 85% of the world. 1Visa-free includes visa-free, visa on arrival, eTA and eVisa (if issued in less than 3 working days).